FUEL Vector is a clean multi-spoke wheel that is available in Machined finish with a Matte Black simulated beadlock ring The Method MR301 Machined Standard is a timeless looking 10-spoke machined wheel with a matte clear coat for protection The Method MR304 Matte Black/Machined Double Standard is a one-piece wheel that features a simulated machined beadlock ring by way of a strategically placed under-cut on the outer lip of the wheel. The Grid is the result of combining the design of the Mesh split six-spoke design and the simulated beadlock ring found on some of our most classic wheels. The Method MR311 Titanium Vex is a one-piece wheel that features a simulated beadlock ring by way of a strategically placed under-cut on the outer lip of the wheel. The Method MR310 Con 6 is a clean and simple 6-spoke wheel. The Method MR301 Machined Standard is a timeless looking 10-spoke machined wheel with a matte clear coat for protection The Method MR304 Matte Black/Machined Double Standard is a one-piece wheel that features a simulated machined beadlock ring by way of a strategically placed under-cut on the outer lip of the wheel. The Method MR305 Matte Black/Machined Face NV is a one-piece wheel that features a simulated beadlock ring by way of a strategically placed under-cut on the outer lip of the wheel. The MR308 Roost Bronze is a groundbreaking wheel that utilizes our knowledge gained in off-road truck and rally racing. 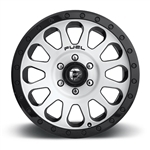 The Method MR301 Machined Standard is a timeless looking 10-spoke machined wheel with a matte clear coat for protection The Method MR311 Titanium Vex is a one-piece wheel that features a simulated beadlock ring by way of a strategically placed under-cut on the outer lip of the wheel.